Design-wise, the Pixel, and Pixel XL weren’t exactly the ‘go to’ smartphones but it looks like all that might change with the launch of the Pixel 2, which is slated to take place later this year. 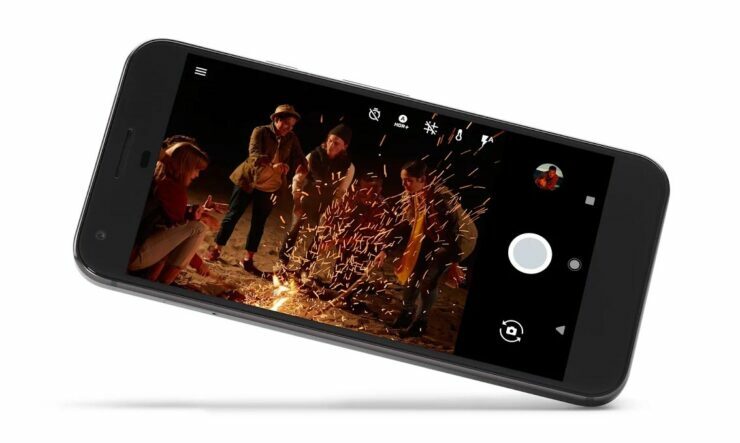 Speaking of design, this latest Google Pixel 2 concept will blow your mind because as we are getting used to seeing dual-camera setups on mobile devices, the concept goes two steps further with four camera lenses. Metal and Glass Chassis Plus Four Camera Lenses on This New Google Pixel 2 Concept – What More Could You Ask for? The popular smartphone concept YouTube channel Concept Creator has some terrific ideas going round in those creative brains because even we would not have thought that they would end up transforming the Pixel 2 into a futuristic-looking smartphone. Perhaps the design team hailing from HTC and Google might finally be able to bring out their own creative side when launching the Pixel 2 after looking at the video posted below. The specifications listed in the concept state that the Pixel 2 will feature a 5.6-inch QHD resolution with an AMOLED panel that’s protected by Gorilla Glass 5. A dual-12MP camera sensor with a F/1.7 aperture is present, along with a Snapdragon 835 chipset and 6GB of RAM. Since the Pixel 2 will be running Android O right off the bat, we can expect numerous RAM-related optimizations, so it is highly unlikely that the phone will require this much memory. There was also a different concept that was introduced to you guys some time back so be sure to take a look at that whenever you get the time. For now, take a gander at this one and let us know your thoughts down in the comments.